In what has got to be one of the shortest lead times to #Durantime ever – Duran Duran announced today that they will be performing at the International Professional Music awards – the “BraVo” in Moscow, Russia on March 10th. For those of you who are saying “Wait, what’s the date today?”. It is March 5th. When I saw the announcement, I was a bit curious, if not dubious. I’ve never heard of the BraVo awards. Aside from understanding that they take place in Russia, I knew nothing. I looked at the awards website, and this is the first BraVo Awards, which explains why I’d never heard of it before. It was difficult to read the site due to some rather unfortunate banner placements, but it sounds like the awards are supposed to celebrate the musical “elite” from virtually everywhere in the world, other than America and probably Canada, and maybe Mexico. The site claims that the event will be attended by representatives of world music and film industry, media executives, cultural and business elite, ambassadors of partner countries, and famous celebrities. Sounds pretty fancy! Let’s face facts – this is in Russia. Inevitably, there are always going to be concerns with that. Is it really just about getting paid? For that matter, are the band being paid for this gig or are they also being honored? Does anyone know? I’ve said it before, I’ll say it again: the band has the right to make money. I support that 100%. Artists can and SHOULD be allowed to support themselves through their art. Yeah, Duran Duran have made millions off of their music. Yep, they get paid to play, whether private gigs or on tour. They always have in one way or another. That’s not a crime and we need to stop acting like it is. Art isn’t free. It SHOULDN’T EVER be free. Art is the product of someone’s blood, sweat and tears, it isn’t free. Let’s get that out-of-the-way right off of the top. I believe the band has the right to make a living, even if they are making far more than I could ever hope to earn myself. Is this really just about making a living, or is this about where they’re being paid, and by whom? Let’s face it, Russia isn’t known for being the greatest advocate or proponent of human rights in the world. Their government has been known to meddle in an election or two, as well. It is difficult to support the idea of playing in a country that has that kind of track record, isn’t it? Yet, I need look no farther than my own country as I consider my own feelings on the subject. Right now, the President in my country is someone who is not well-liked around the world. Some might say that he has a pretty dismal view of human rights – to say the least, I might add. Others might say he is on the cusp of impeachment, insisting that he is one step away from being thrown in prison. Or maybe to some he already is a criminal. Should Duran Duran stop playing shows here in the USA until our President changes? Some of you reading might very well be saying yes. Those of you who are saying the band shouldn’t play in Russia because of their government might also be saying the band shouldn’t play here in the USA because of the views of our own. It feels a bit like a slippery slope when discussing where the band should or should not play based on the convictions of a country’s government. I remember a Katy Kafe where the subject of where the band would be willing to play was discussed with Simon. I don’t have the exact quote, but he basically said they’d play anywhere unless there was a specific regime in power somewhere that the band didn’t agree with. I’ve come to realize that the decision, in many cases, just can’t be that black and white. The country where I live is far from perfect. The band has played here numerous times for award shows, even thought I am fairly certain they haven’t always agreed with our government, or its stance on human rights, including LGBTQ rights and immigrant rights. The band has come here and played for the elite in our music, film and fashion business in the same way they will on March 10th for Russia, or anywhere else in the world they decide, for that matter. I’m just not sure about throwing stones while sitting in this glass house. I know that by now, there are Duranies out there practically salivating at the very thought of another show date. I wish I had that for you, but instead….I do have an appearance to mention! John Taylor is going to be appearing at Bass Player Live in Los Angeles, California at SIR Studios on Sunset Boulevard. Apparently, he is going to participate in a live clinic interview. Duranies – grab your bass guitars and get some tickets!! There are a number of highly renown bassists appearing at this years Bass Player Live, as well as an all-star concert to be held on the night of Saturday October 22 at the Musicians Institute. Slated to appear include Billy Sheehan, Tim Bogert, Randy Jackson, dUg Pinnick, Rex Brown, Mike Elizondo, Gerald Veasley and many more. If you’re interested, I’d jump on getting those tickets, (and probably learning how to play bass….just so you’ll fit in, right?) The event sounds like it could be a lot of fun and I would imagine that I’ll see some pictures from plenty of Duranies in attendance. Both types of passes come with a free subscription to Bass Player Magazine. Just enough to whet your whistle until another show is announced….. DD down time is so hard to get through! I feel like the whole world is abuzz with Duran Duran. Now, I know that this statement of mine is a bit of an overstatement. Yet, that is how I feel right now. It seems to me that every other second there is a new post about Duran released by music person/site, a new performance on some show or an exciting piece of news being sent out across the social media world. Duranland is full of activity! I am running to keep up, that’s for sure!! Do not get me wrong. This is NOT a complaint in any way, shape or form. I much, much, much prefer this than what it was like a year ago or so. In fact, I struggle to even remember what life was like then. Looking back on the blog from a year ago, do you know what was posted? Three posts were posted on October 24, 2014. One, of course, was the question of the day focused on Andy Taylor pictures. The next one focused on the day in Duran history about a John Taylor book signing. The last one started out like this: “The Duranie part of me has felt pretty weak lately. I haven’t been feeling very Duranie like.” I wrote those lines. Just reading them makes me feel very, very sad. That wasn’t an easy time. The album, then unknown, seemed very, very far away and All You Need Is Now really did, too. There were no shows on the horizon and no shows in recent memory to look back on. We were trying desperately to hang on until the quiet ended, until action began in Duranland. We survived Duran downtime. We made it through Durantime. In October of 2014, we couldn’t even imagine what Paper Gods would sound like. We had no idea that Duran Duran would play at the Hollywood Bowl or would be winning awards like the one they will be receiving tomorrow, the Video Visionary Award, at the MTV EMAs. Of course, none of this success would have been surprising to us. We knew that Duran could play special shows and could/should win awards like tomorrow’s. Yet, I bet none of us really imagined these events. We couldn’t know. Here is what we do know. The present will never last. (I heard that line somewhere before…Hmmm..) As much as I want this level of activity in Duranland everyday for the rest of my life, I know that it won’t be like this forever. It can’t be. Therefore, I have two choices in how I respond. I could be super sad about this and worried about the future or I can embrace each and every second! Obviously, I’m going for the second choice. So, how am I embracing every single second? First, I’m trying to check in as much as humanly possible, which isn’t always easy for me with that frustrating teacher schedule of mine, but I am trying! This might mean, of course, that I’m taking a few minutes out of my day to watch the latest TV appearance. Speaking of, did you see the performance and interview from X-Factor Italy? Or what about the performance at Jools Holland in the UK? Both are well-worth the watch AND sharing! Yes, please, share away. Remind people to buy and share, in fact. This reminds me of the old phrase about voting in Chicago, which is, “Vote early. Vote often.” To adapt that quote to now, “Buy early. Buy often.” Another thing to say could be, “Share early. Share often.” That is another good way, I think, to embrace this time and ensure that every one around you is, too!!! Of course, having lots of lots of discussion everywhere and anywhere about Duran is important, too. Heck, I know that my students and my colleagues are probably getting sick of me mentioning Duran and the new album. (Do you think it would be wrong to include a Duran Duran question on the next quiz for extra credit?!) I figure, though, that if they aren’t sick of it, then I’m not mentioning it enough! Beyond all of those ways to live in the moment and embrace the present, I think, most importantly, it is good just to focus on the now. I don’t want to spend a lot of time looking back. It wasn’t that those times weren’t amazing as many other album cycles really were. I know, for instance, that Rhonda and I wish we were headed back to the UK after seeing a few shows over there for the All You Need Is Now tour. Yet, as much as I loved that time and always, always will, I don’t want to focus my energy there. No, I want to listen to the new album over and over again. I want to watch current clips of TV appearances. I want to squee with excitement over news like winning awards or new videos. I don’t want to be concerned with how long this will last or what the next album will be like or will there be a next. I just want to be right here, right now enjoying Duran Duran. Sometimes things come up so fast that I don’t even have time to add them to the calendar here, and today is no exception. Are you a #TGIT (ThankGodItsThursday) fan?!? Do you love Duran Duran (I hope so, otherwise…you might be visiting the wrong blog…)?? Tonight is YOUR NIGHT to have your senses tingled!! If that weren’t enough (and it never is! ), later tonight following Grey’s Anatomy and the other #TGIT shows, Duran Duran will be on Jimmy Kimmel. Following the broadcast, the post-show concert will be streamed here on Yahoo! Live. 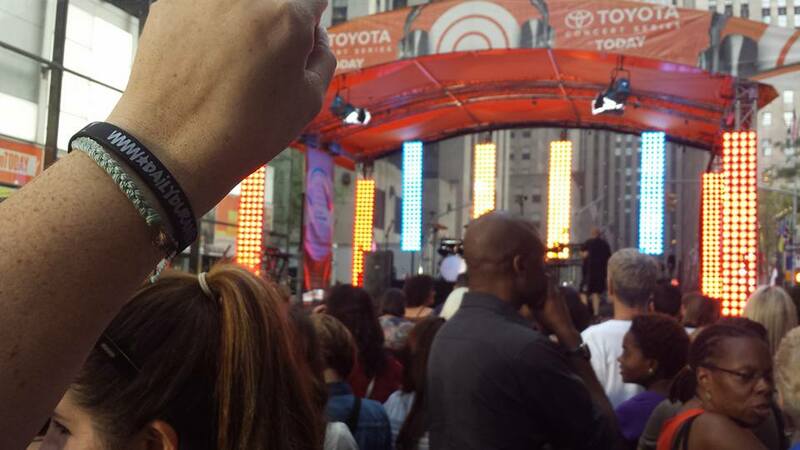 I was in the audience that afternoon, which was held in the back parking lot of the Jimmy Kimmel Live Theatre. It was a lot of fun. I’d never gone to something like that before, and so when I was treated to Hungry Like the Wolf not once but TWICE that afternoon, I smiled, sang and clapped along with abandon! It was a lot of fun despite the 93-degree heat, and the only thing missing was my partner-in-crime, who was flying over the western part of the country at the time to get to LAX later that night. I’m curious to see what takes of the songs they chose to use for the stream, and I’ll be tuning in later myself. When you’re watching the stream later, look for me in the audience! Must see and hear @duranduran on #TGIT! Not a bad way to spend a Thursday night at all! Butterfly GirlDom BrownDuran DuranDuran Duran on TVGrey's AnatomyJimmy KimmelYahoo! Last night, Duran Duran appeared on Jimmy Fallon in the first of a few appearances on US talk shows, covering morning (They appear on the Today Show tomorrow morning), afternoon (Ellen is later in the month) and evening. Granted, Duran Duran has done more than a few of these shows in their time…you can almost bet that they appear on at least one or two with every album, but somehow last night was different. I don’t know if it’s just me, but there is a certain amount of positive energy with this album that just feels different. Renewed. Better. Not only can I characterize that energy using nearly every positive adjective known to man…I think it might be infectious! With more and more frequency, the various news agencies and critics out there are hailing this album using terminology I rarely see associated with Duran Duran these days. 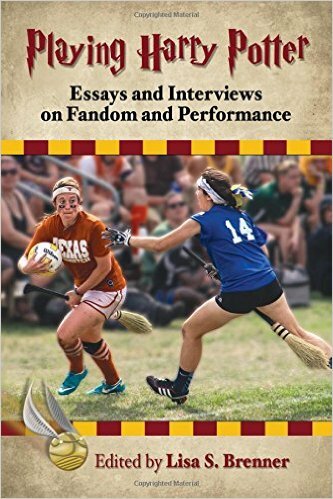 Words such as “hit” and “triumph” and “modern” have me thinking that something is most assuredly in the air with this one. Of course, time will tell if this is merely the passing fancy of the first week of a release, or if the top ten on iTunes and other various charts will indeed hold. I would like to believe that this momentum has the power to not only get this boulder going, but that it may very well increase to a clip that we’ve not seen in a couple of decades. Moreover, I will say this much: it has been a very long time since I’ve seen so much promotion for a Duran Duran album, more specifically – it’s been a very long time since I’ve seen so many reviews for a Duran Duran album, never mind positive ones. In a way, that alone is kind of mind-blowing and almost concerning. I can’t decide if I’ve been dropped into a new universe, or if my own world has finally caught up with what we’ve known all along. I keep thinking back to Katy’s assessment of the band being a Phoenix. One should never count Duran Duran out of the game, that is for sure. I have had quite a journey settling in to the new sound(s) of this album, which has been gratifying on its own, but seeing that the word is spreading and more people are talking about Paper Gods is staggering. I try to retweet and repost as many of the great reviews and comments about the album as possible when I’m on Twitter, and I love seeing that Daily Duranie followers do in kind. I encourage everyone to keep up the great work! It takes a village…or a relatively large army!! So, back to that appearance on Jimmy Fallon’s Tonight show. The band looked fantastic, first of all. I don’t think I’ve seen the band look as great as they do right now in a very long time. There’s just something about them – is it energy? Is it confidence? I had one friend say, “they are awesome and they know it”…and I kind of think that’s got to be it. I’ve said it over and over: the band has to sell the audience, and damn if they’re not doing it! I haven’t seen John look this happy in a good many years, and I even saw Nick smiling as he was playing! Anna sounded fantastic, Roger just seems completely content and satisfied, something I haven’t noticed since he came back to the band. Simon, well first of all, Simon looks healthy and fit – he even inspired me to get serious about my OWN weight loss when I saw him in April, believe it or not – but Simon’s voice is truly a sound to behold these days. I have seen and heard people say that he sounds better now than he has since Rio (and IMO since the very first album! ), and last night was no different. I really do have to hand it to him, it is clear there has been a complete turnaround and rededication to what he loves. Lastly (but not least) there is Dom, who not only looked the part with his black polka-dot shirt and tucked-in tie, but there’s just an overall sense of comfort and family with this group. How that can be ignored, I’ll never quite understand. Overall, there is complete difference in this group. They may have been ready to reach out to their fans with All You Need is Now, but this time, they are ready for the world….and the world is starting to respond. Take a look at the clip last night if you missed it, or watch it again! Duran Duran history for March 9 – on this date in 2005, Duran Duran appeared on Northwest Afternoon in Seattle. I’ve watched the band’s interview from this show, and I recall a certain Durandy having a moment with the band. Unfortunately I can’t find the interview clip from the show, but I did locate a video of Simon and Andy with acoustic performances of “Chains” and “Save a Prayer”. Good stuff!! 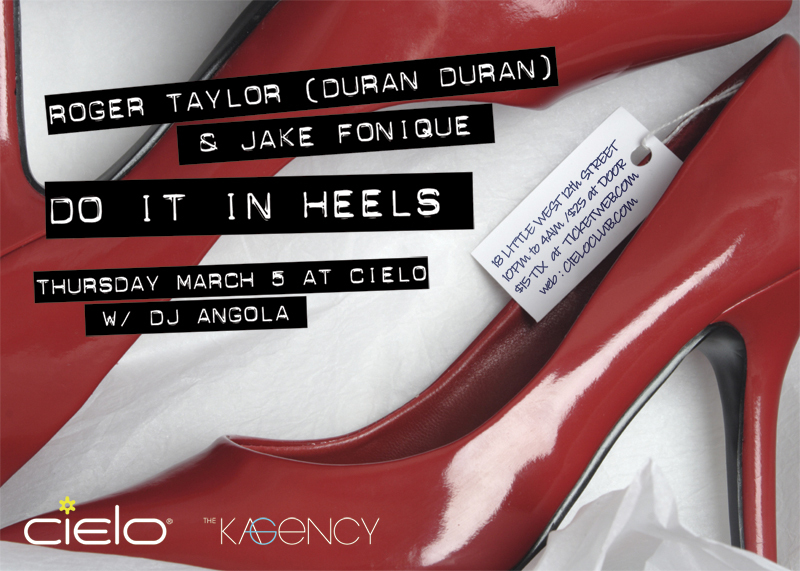 Duran Duran history for March 5 – on this date in 2009, Roger Taylor and Jake Fonique play a DJ set at Cielo Club in New York City. Duran Duran history for March 2nd: in 2014, John Taylor appeared at the London Bass show in support of his autobiography, In the Pleasure Groove: Love, Death and Duran Duran. He spoke about his career, his book, and also played his signature Peavey Bass.